This was a really special time at church camp. In amongst the craziness that is the last day of camp to see Cayley smiling was good. She had a terrible night of anxiety and she, Brett and I had very little sleep. To say I was grumpy would have been an understatement. I’m sorry about it now, but at the time I felt highly justified. Oh what a self-absorbed woman I am. So glad for apologies and forgiveness. 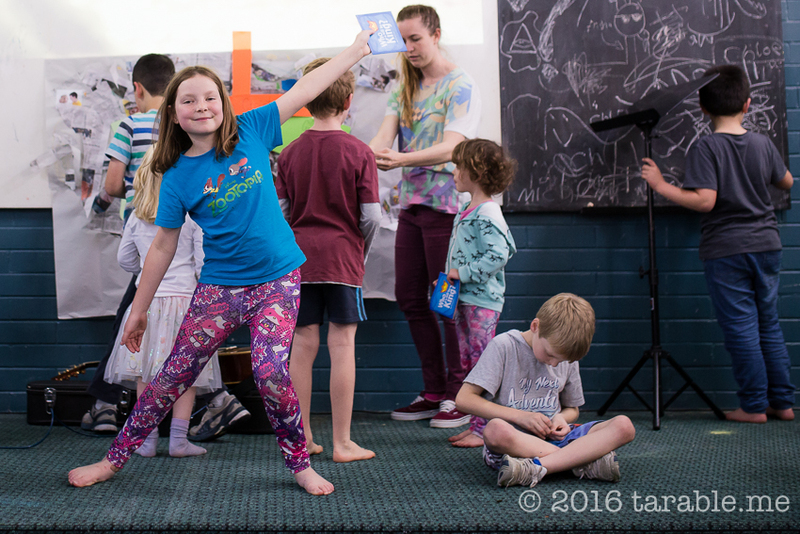 This photo is Cayley performing for the camera, while the children are setting up to show everyone what they had been learning during the teaching times of camp.